Readers often submit malware samples, and sometimes the complete email with attachment. For example exported from Outlook, as a .msg file. 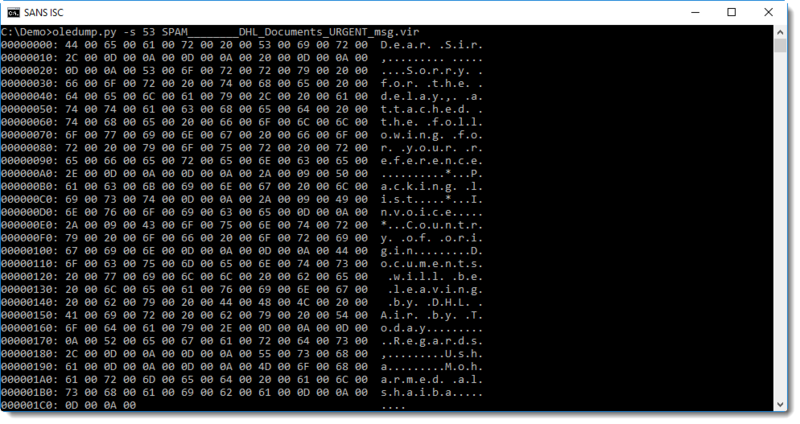 Did you know that .msg files use the Compound File Binary Format (what I like to call OLE files), and can be analysed with oledump? 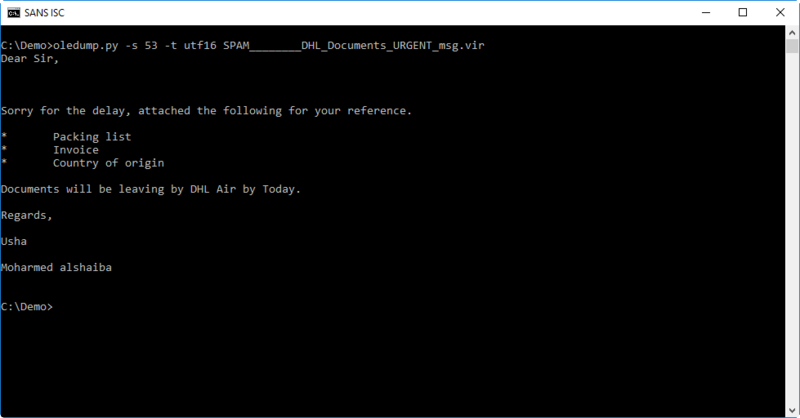 Reader Carlos Almeida submitted a .msg file with malicious .rar attachment. These are chinese characters that seem to mean the same as FW: (forwarding). 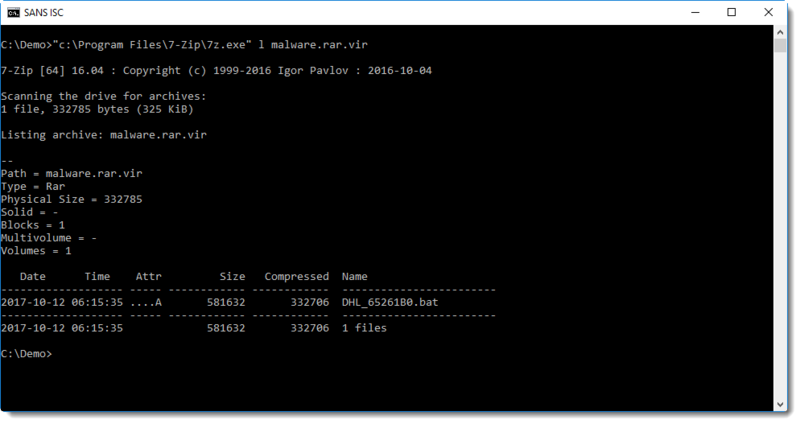 You can see it's a RAR file. 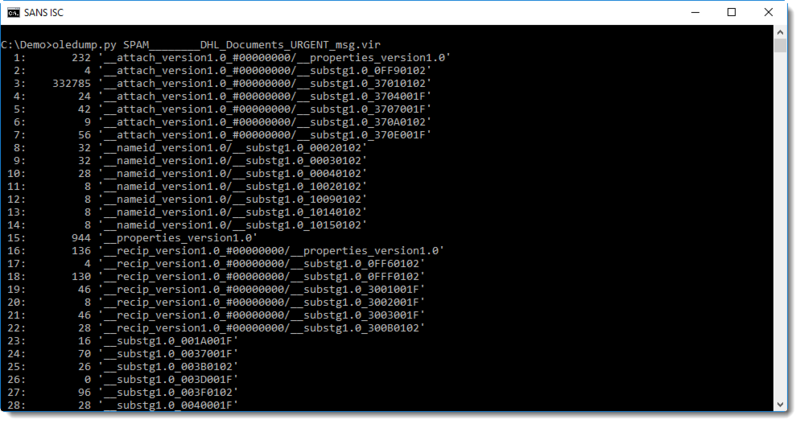 This looks to be a VB6 executable (from the PEiD signature), I should dig up my VB6 decompiler and try to take a closer look. RFC1342 is obsolete, RFC2047 is the current RFC. 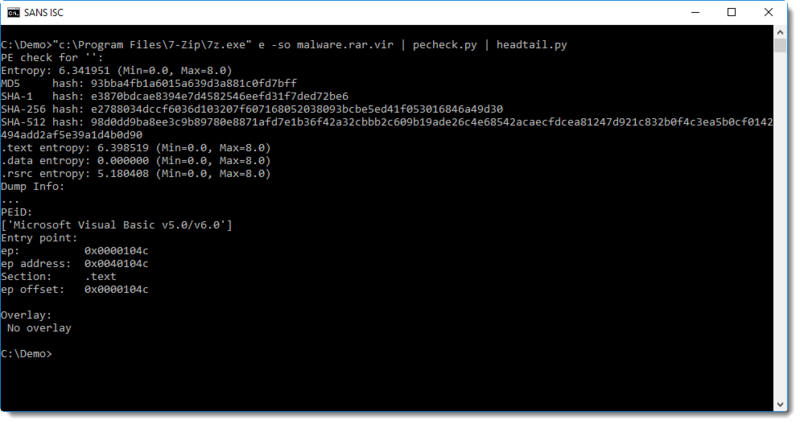 Unfortunately, Python 2.7 decoding with make_header(decode_header).__unicode() isn't always correct. Python 3.6 is better, but I've still had some issues. If I had multiple MSG files, could I use oledump to automatically extract attachments from them, without necessarily knowing in advance which stream in the attachment stream? You should be able to figure out what parts of a msg are the attachment and what types they are. The substrings have specific meanings. I missed this back when it came out. I'm surprised that Microsoft didn't come out with an .MSGX format using ZIP like the other new Office formats. There must be many unexplored attack scenarios using these files, which I assure you are used heavily in the real world.